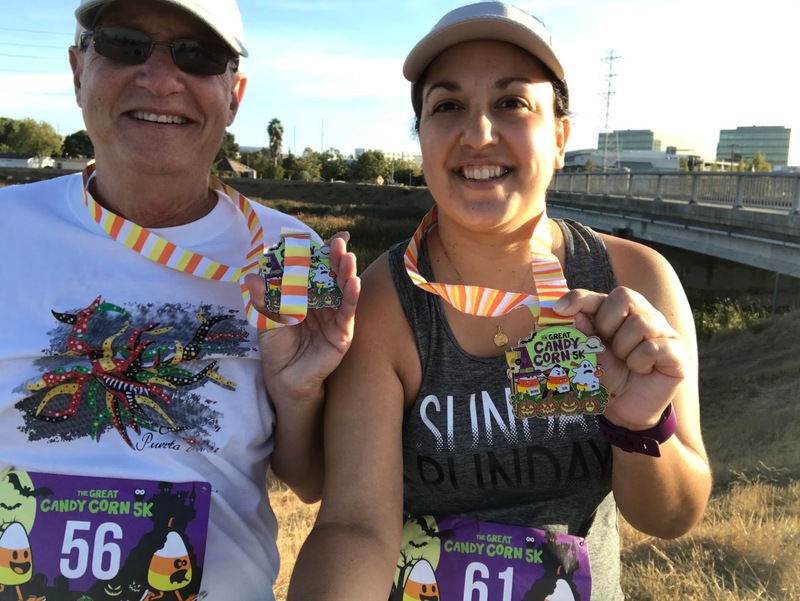 I signed up for The Great Candy Corn 5K online at Gone for a Run. For more information and sign-up, click here. 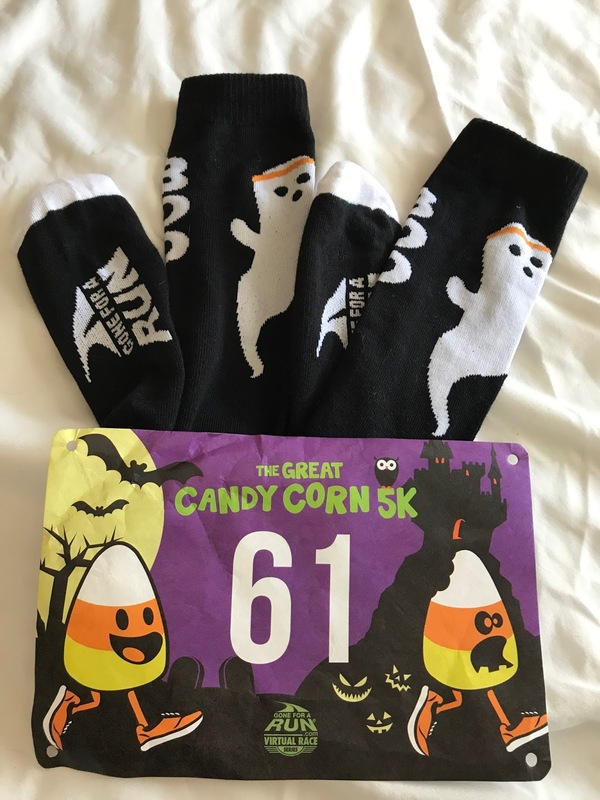 For just $25 I got a pair of Halloween socks of my choice (ghost, candy corn stripes, or jack of lantern), a running bib, and a finishers medal. 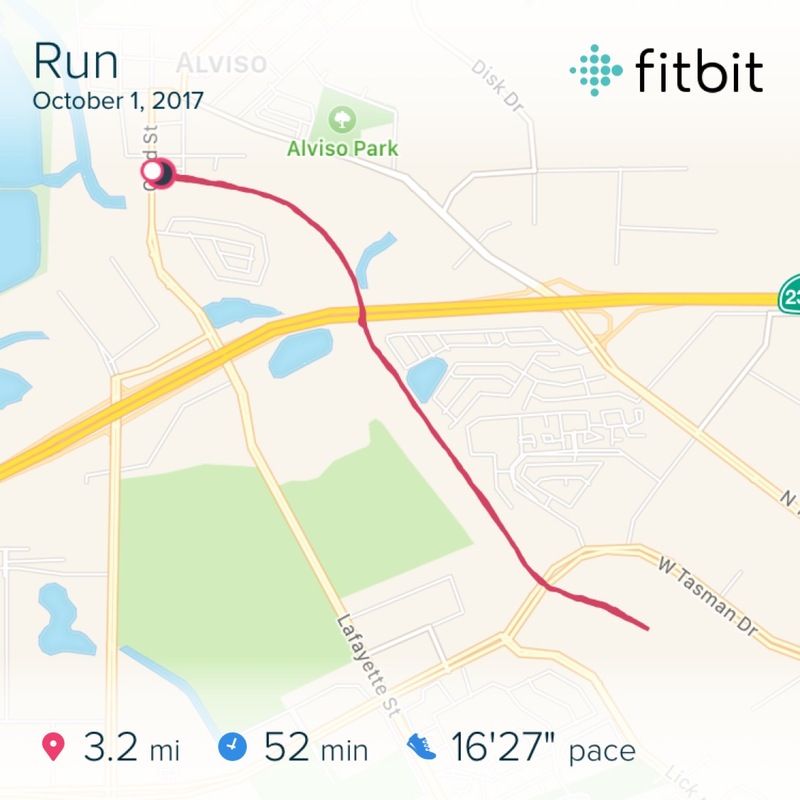 I continue to train for the runDisney Thor 10K in November, so every race I can do helps me stay on track. Plus, it makes a little bit more fun. I love the Halloween theme of this Virtual Race. The candy corns are so expressive and are wearing running shoes. The medal is the best part. It glows in the dark! The candy corns are dressed up in their Halloween costumes. So cute!! Proceeds from this virtual race go to the New Pond Farm Education Program. This program helps connect people with the land.